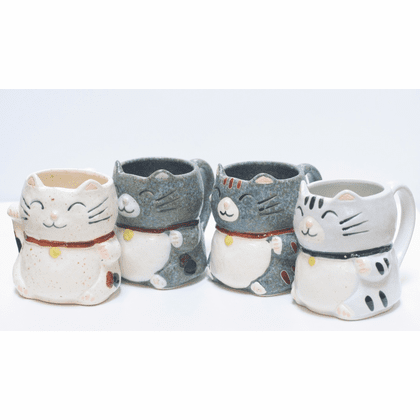 Four different lucky tabby mugs. Microwave and dishwasher safe. Holds 11 ounces, 4" tall, 3-1/4" in diameter.